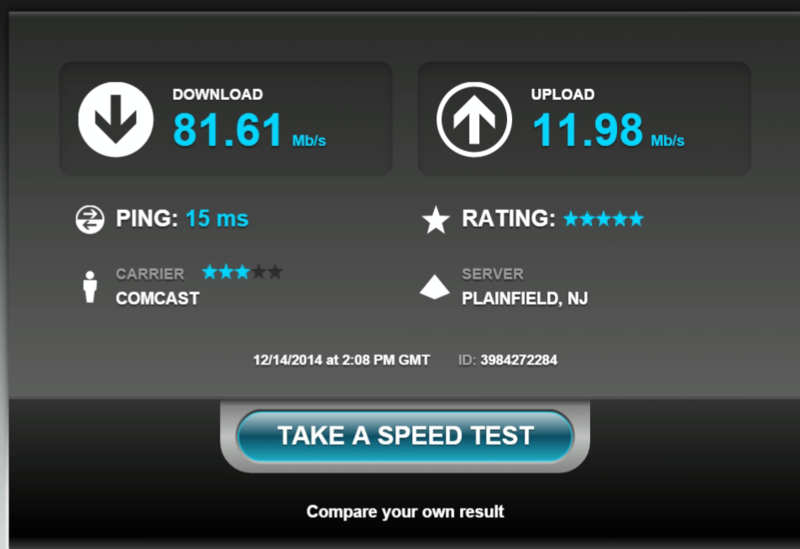 I currently pay $75 / mo for a 75mbps down / 12 mbps up plan from Comcast. Until last week, I was using their Triple Play package, for TV, Phone, and Internet, but I couldn’t justfiy the price, which continued to creep up each month. The cost for my internet was $65 at the time, and I was only getting 25 / 10, so I wanted to make some changes. From there, I dropped TV and Phone, but paid $10 more to go from 25mbps -> 75 mbps. Big difference, and I immediately noticed the change! I have a number of devices in my home network though, and I felt that my Comcast provided modem / router combo was the bottleneck in my home network speed. Additionally, I was paying $10 / mo to rent the modem. It was time for a change. 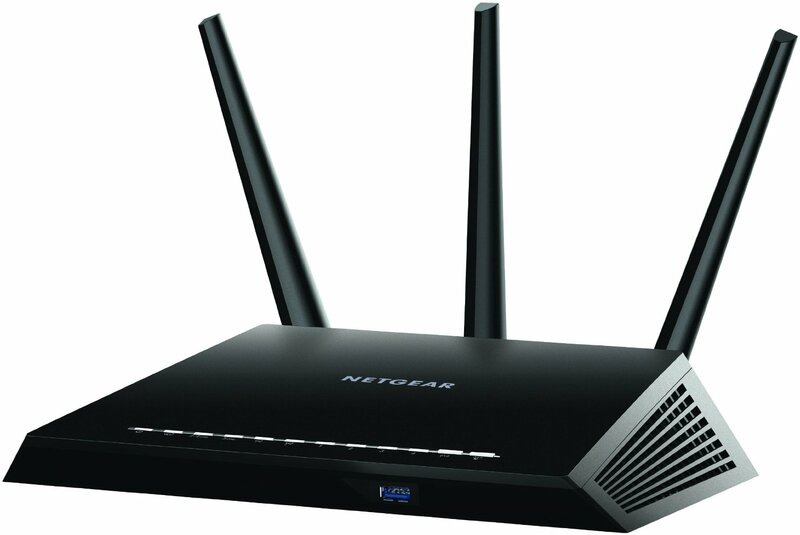 After asking some friends on Twitter, they recommended the NETGEAR Nighthawk 7000 router ($185 on Amazon) and an Arris / Motorola SB6121 DOCSIS modem ($70 on Amazon). To install these devices, I simply unplugged my Comcast devices, and plugged these two in. Connect to the new network (NETGEAR something) and open your browser, and it will begin to configure your Comcast credentials with the modem. Two minutes later, I was up and running. The results speak for themselves! If you have devices which can connect to the 5G network offered by the router, then I highly suggest using that. Needless to say, I’m excited to have speeds athat are 5x better than what I had only one week ago. I’ve also gotten rid of that $10 / monthly fee for renting the Comcast modem. December 14, 2014 in Philadelphia. Hi, are you just hanging the Wireless router off of the modem via ethernet? Yup, that’s it. One Cat5E going out from the modem and plugged directly into the single input port on the router. What speed you are getting on wireless? Are you able to change your DNS settings on the new combo? My Comcast supplied modem/router will not let me access that in the Gateway. Yup! I just log in via the browser tool and I can make all changes to my network there. I just did almost the exact same thing as you. 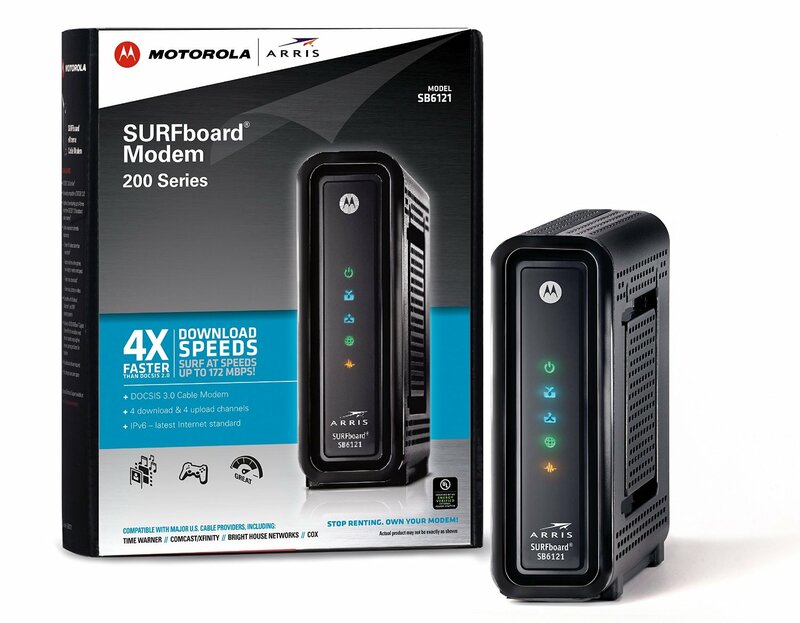 I got rid of the Comcast Modem/router unit and got a Netgear Nighthawk and Motorola DOCSIS3 modem. Before, with the comcast Modem, i would get around 90mb down whether i was on my phone via wifi or laptop via ethernet. Now with the new combo, i’m getting 90mb with my laptop hardlined, but on anything wifi, the speed has gone down to 30-45mb…what am i doing wrong? I’ve tried to go through wifi settings and try to figure out what to change. Any suggestions would be welcome! I’ll be trying to do this change within the next few days, not 100% sure why your speed went down, but my guess is your phone probably didn’t connect to the 5G band, and it’s maxing out on the 2.4G band.